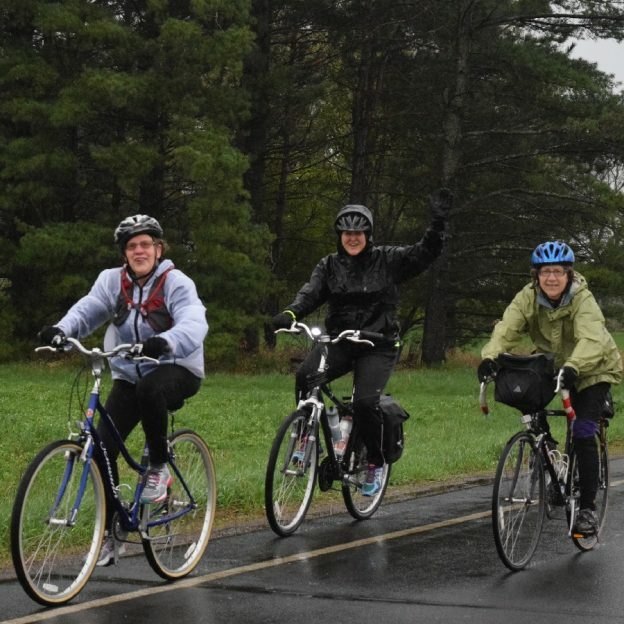 Even the most dedicated bicycle commuter or touring cyclist could be forgiven for taking a look at the weather outside and deciding to use another means of transportation to get to a planned destination. 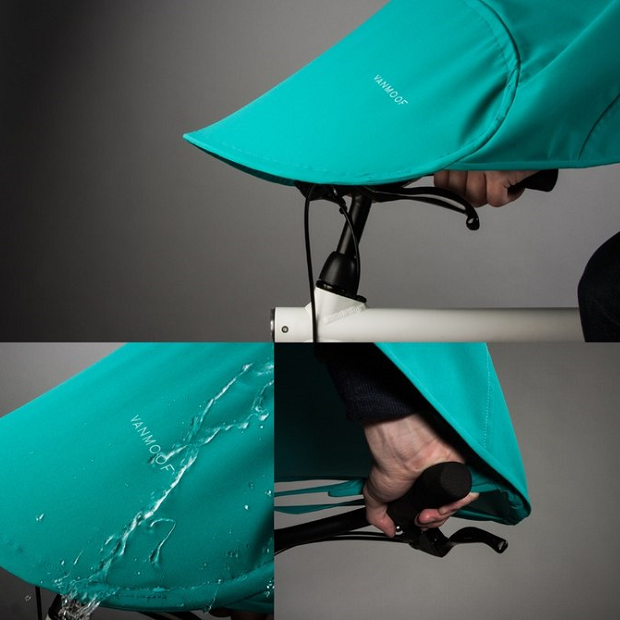 But, here LeafxPro aims to cater for such occasions with what’s most easily described as an umbrella for your bike. 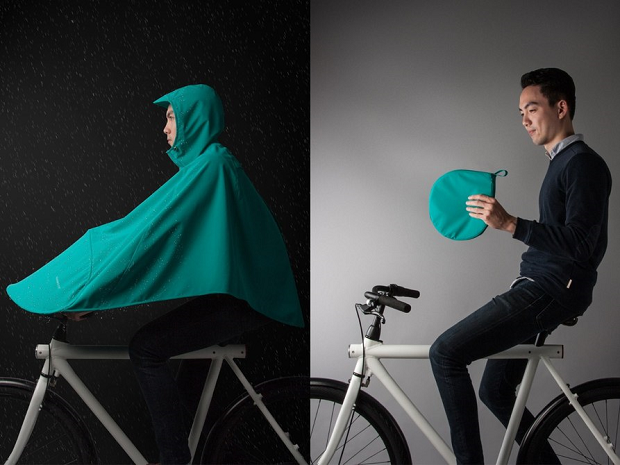 This umbrella for your bike comes in various shapes and sizes, allowing you room to signal your turn and keep a passenger behind you dry from the weather. LeafxPro comes in various shapes and sizes, with Classic being the base model and Advanced, Storm, Family, and Pro all offering slightly different takes on the design, and different levels of protection from the weather. 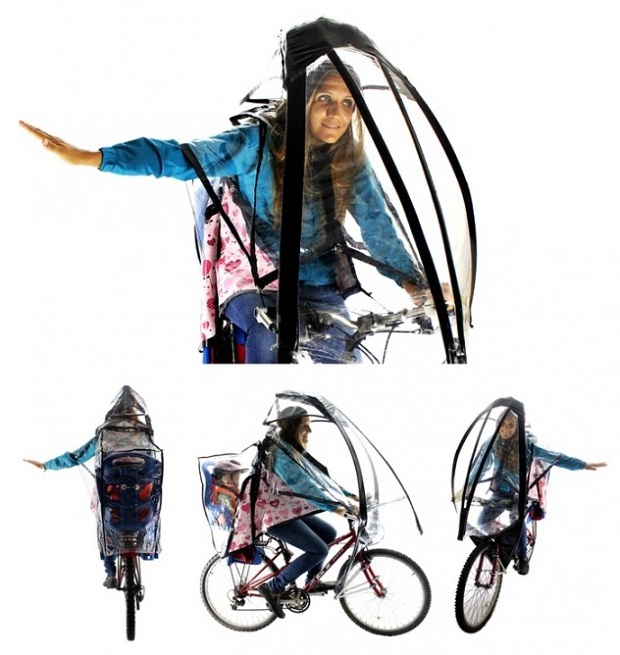 The designers state that it will attach to any type of bicycle in around a minute, though there’s no mention on exactly how it attaches to the bike at this point, possibly because work on refining it is ongoing. 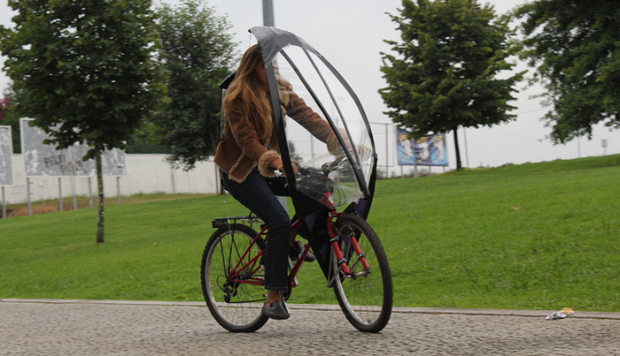 LeafxPro claims its design is aerodynamic to the point that riding in winds of up to 50 mph (80 km/h) will cause no issues. 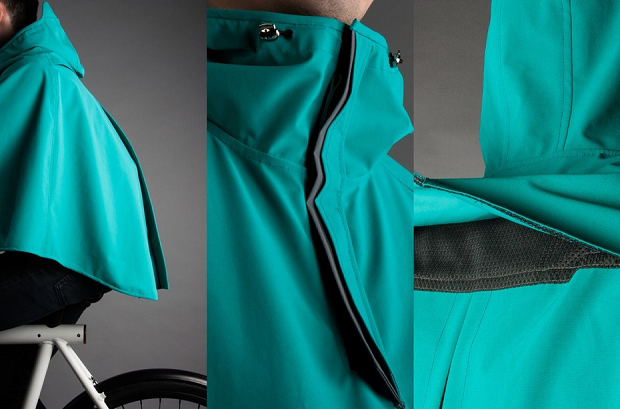 The open design of the Classic model doesn’t really look like it could keep you dry in a heavy downpour, though Storm seems to offer more shelter. Weight comes in at somewhere around 1 – 1.3 kg (2 – 3 lb), depending on the model, and none prevent cyclists from looking around or make turn signals. Height is adjustable and there are a number of colors available. Weight comes in at somewhere around 1 – 1.3 kg (2 – 3 pounds), depending on model. 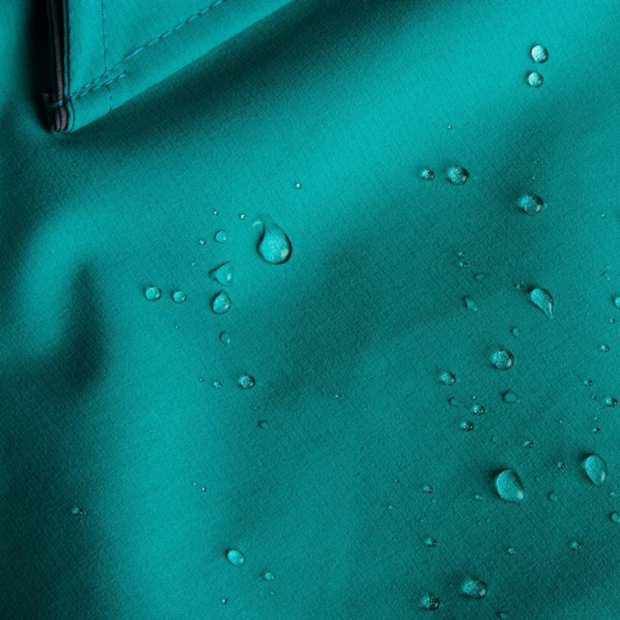 Though the basic idea of riding around in a weather-protecting bubble has cropped up before in systems like Dryve and Veltop, it hasn’t really taken off up to this point. Perhaps a key reason for this is wind. One can easily imagine being buffeted dangerously across the road in a crosswind after attaching such a thing to a bike. 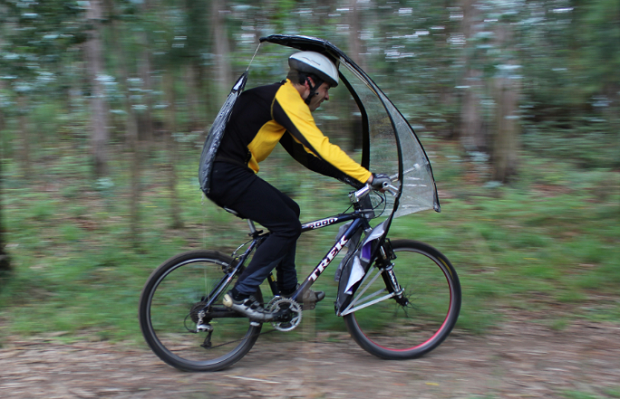 However, LeafxPro reckons it’s got this covered, and claims its design is aerodynamic to the point that winds of up to 80 km/h (50 mph) will cause no issues. If you’re willing to take the gamble that the designers have got this right, you can help try and move LeafxPro forward from the prototype stage to production by backing its Kickstarter campaign. 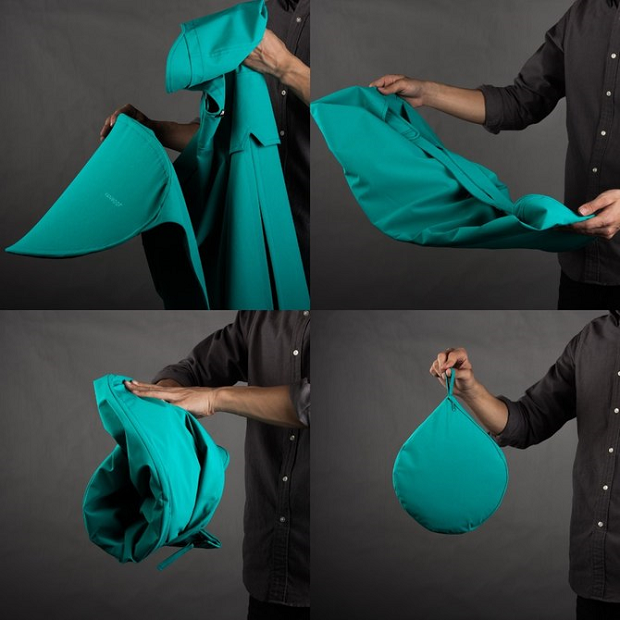 You’ll need to shell out £99 (US$153) for the basic Classic unit and a carry bag. If all goes well, delivery is estimated for September 2015 and additional models are available at higher pledge levels. The video here shows the LeafxPro in use. 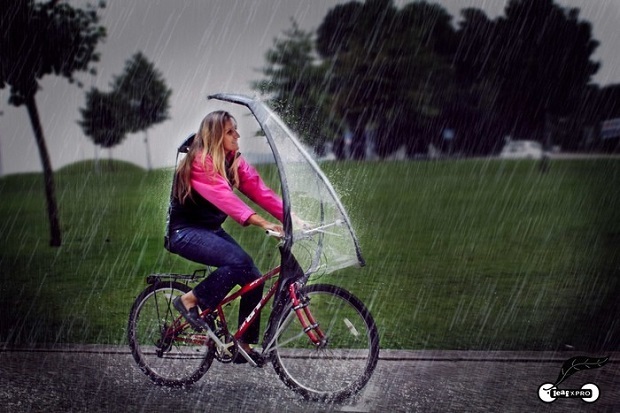 This entry was posted in News and tagged Bicycle rain gear, Bike Umbrella on February 22, 2015 by Russ Lowthian.